Greensburg Resident Danny Webber meets Andrew Luck! Greensburg resident Danny Webber gets VIP tickets to the Colts, meets Andrew Luck! Ernestine Nicholson Spends the Day with Animals! 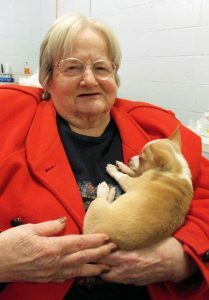 Richmond resident Ernestine Nicholson spends the day at Help the Animals Inc.